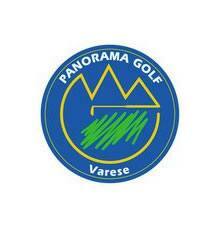 It’s the end of the 1990’s when a group of entrepreneurs from Varese, faced with uncultivated land, make the decision to recover and transform the area into a respectable golf facility: today’s Panorama Golf Varese. The goal of their mission was to create a pay and play facility: you pay for admission, you get your balls, you play … and you enjoy nature! 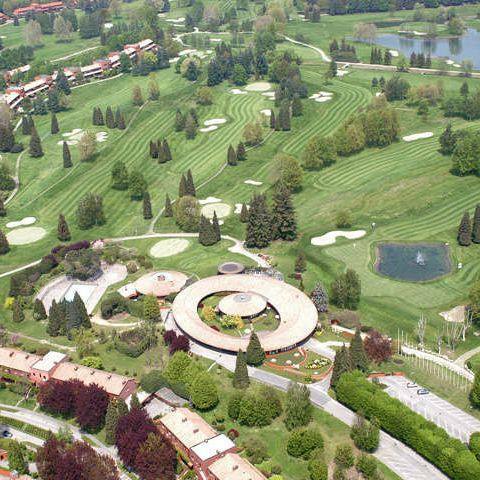 The practice, pitching and putting greens were inaugurated July 1, 2000. 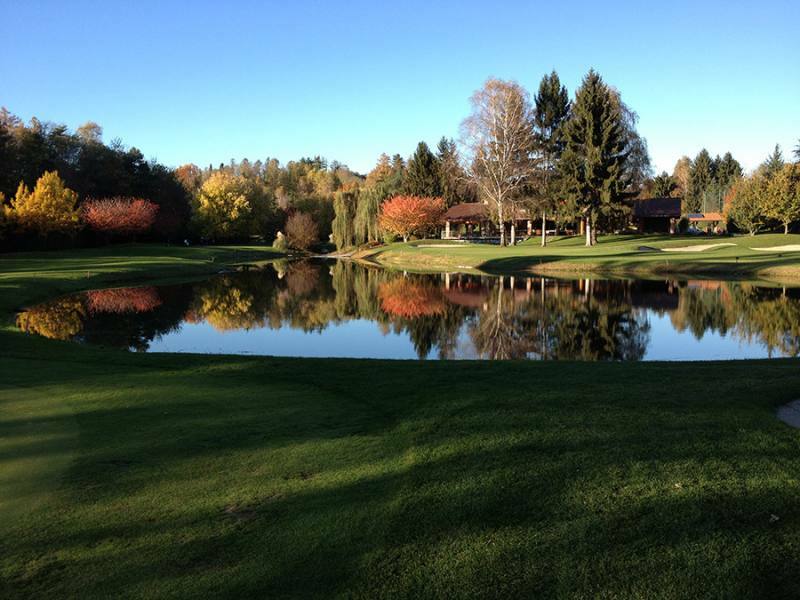 A 9-hole course has been operating since September 2005. It unfolds in a typically Pre-Alp environment amid oak, chestnut and locust tree forests. 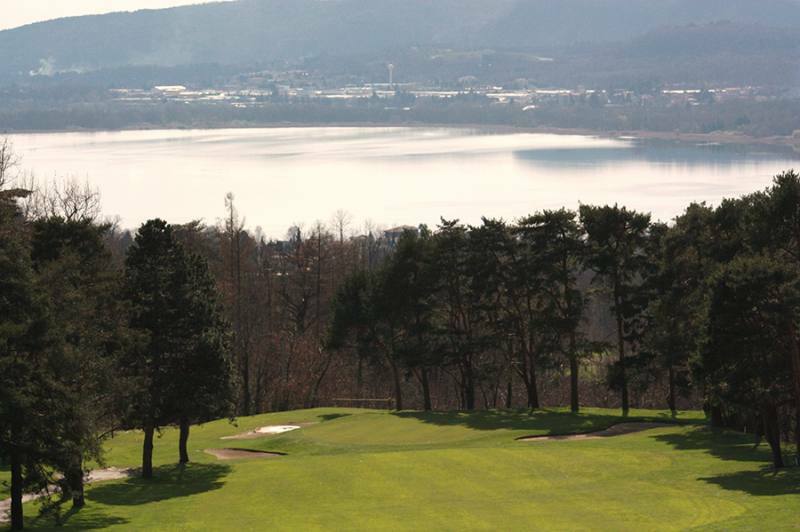 The course was designed by Luigi Rota Caremoli and is characterized by an artificial lake between the difficult holes 4 and 9. It covers an area of 20,000 m2 and has 20 stalls (9 are covered) to give players a chance to vent their energy year-round in the utmost comfort. The facility also has a good, trained team that makes use of video clips and computerized analyses to help the student improve performance at all levels of his/her game. Pitch & putt is an innovative variant of golf that focuses on the short game, which is considered the highlight of the game of golf. Therefore, it is an excellent opportunity to improve one’s game close to the green. Moreover, pitch & putt offers all the attractions and difficulties of a regular golf course, allows players to improve pitching, chipping and putting, and enhances the emotional tension of competing in just the few final tens of metres from each hole. It can be practiced with complete satisfaction by the very young because a strong swing is not required. Game times are much shorter with respect to golf: a game of 9 holes lasts 45 minutes. Much less equipment is required; 3 clubs are used at most (a putter and the player's choice of two irons). The building is very new and innovative in different ways. Firstly, its size: about 1,500 m2 of surface area is divided into the basement, with changing rooms for players and a spa with saunas and a wellbeing centre, the ground floor with restaurant and sales activities, and the first floor home to the true club house, including a billiards room and areas to relax in. It was all built against the marvellous setting of the golf course. Created against the natural background of Golf Club Panorama is Golf’n Spa, a wellbeing oasis designed to provide those magical, relaxing sensations experienced on a holiday – even when you’re in the city. Golf’n Spa follows its customers each step of the way through remise en forme programmes and specific treatments set against this enchanted background. Its unique approach combines age-old traditions and new technology.